Moonshine isn't just for backyard BBQs anymore... and it won't make you go blind, at least these moonshines won't. 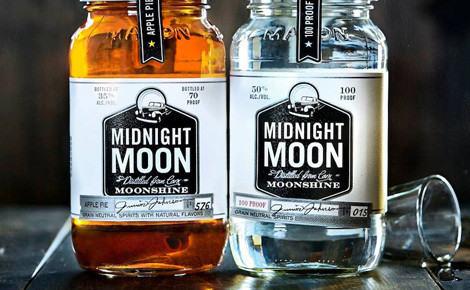 Grab a jar of one of these new moonshine brands and pre-mixed cocktails and get sipping. These are sure to keep you warm as the summer sun sets. 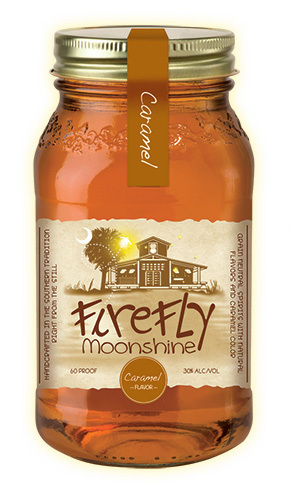 Drink it: A moonshine that can easily carry you from summer to winter, and every season in between, Firefly's Caramel Moonshine is a creative departure from the popular fruity moonshine flavors. We prefer a dash of this moonshine in our coffee for a post-dinner, around the campfire treat, but you could also mix it with bourbon for a cocktail over ice. Firefly Moonshine also produces other flavors, including peach and cherry, both of which are a perfect match for summer drinking. Visit the Firefly Moonshine website to find a local distributor. Drink it: Don't say we didn't warn you. This stuff goes down easy. Apple pie moonshine is a staple for distilleries who venture into flavored moonshines and Midnight Moon's Apple Pie Moonshine comes from a family recipe. No ice cream needed with this pie — this is really all the dessert you'll ever need this summer. Midnight Moon also creates a variety of berry-flavored moonshines that are perfect for summer, including our favorites: blackberry and strawberry. Use the Midnight Moon website to find where they carry it close to where you live. Drink it: If you live in the South, sweet tea is a way of life. So, when you mix it with moonshine, another Southern favorite, you really can't go wrong. Give Ole Smoky Sweet Tea Moonshine a try for a big dose of summer in a jar. Sip on it in a glass over ice or combine it with lemonade (a 50/50 mixture) for a new twist on a classic Arnold Palmer. Some of the other moonshines from the Ole Smoky distillery that you should try this summer include Peach, Watermelon, Lemon Drop and Pineapple. They also make delicious Moonshine Cherries, which are maraschino cherries soaked in their super strong 100 Proof Moonshine. Visit the Ole Smoky website to see where they carry it near you.